When I attended Central Missouri State University and graduated from San Jose State University I am convinced now that I should have worked on a Dabbling in the Arts Degree instead of a B.A. 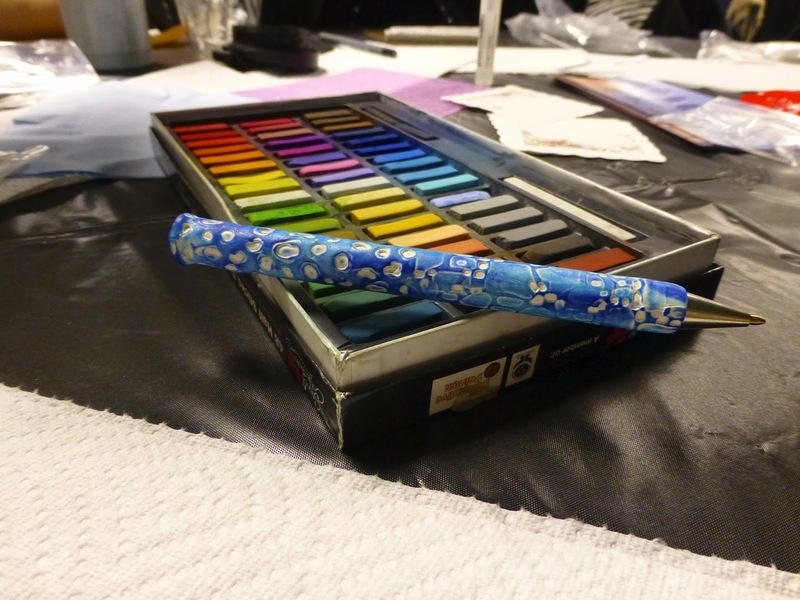 in Speech-Communications :) I want to paint with water colors, knit, crochet, quilt, write, photograph, and now I want to work more with polymer clay mixed media projects thanks to a craft night I attended at our church. 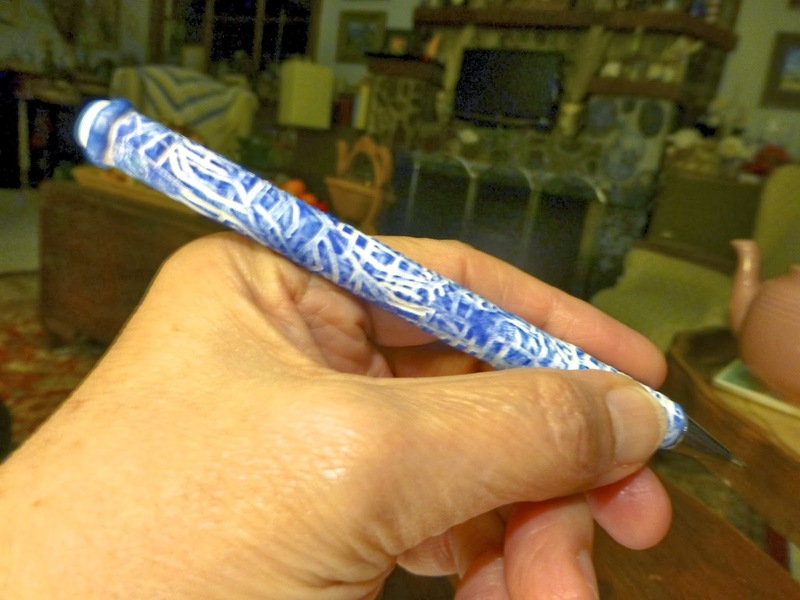 Shirley Rufener, who has a regular craft segment on the KATU morning show in Portland, demonstrated how to make a polymer coated pen, using colored chalk to enhance textured designs we made in the polymer clay after wrapping the clay around a pen. Although I was not familiar with Shirley's work I was very excited to discover she has a book she has written with directions to make many beautiful polymer clay mixed media projects....now all I have to do is craft my time to enable me to do more crafting! 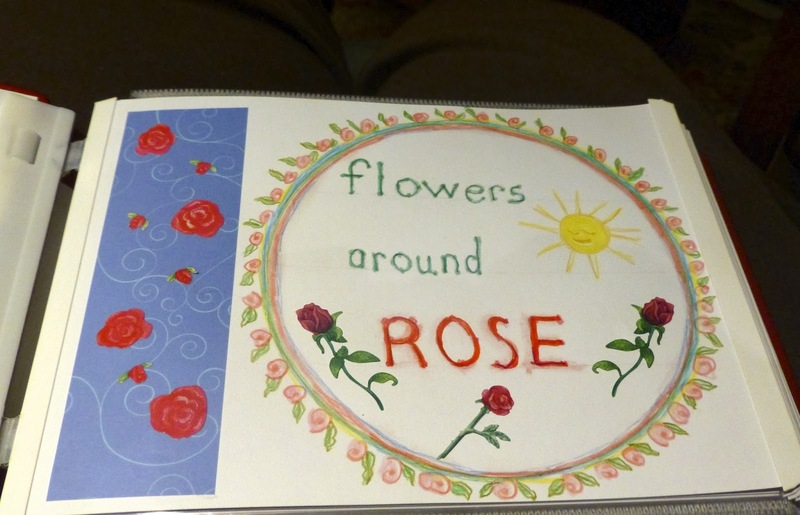 For several Saturdays over the last two months I have worked on a scrapbook album for my youngest granddaughter, Rose. So far I have made a special scrapbook for five of my grandchildren for their first birthdays. I incorporated pictures of them in their first year along with some sort of story that highlighted the alphabet and numbers. Before Christmas I purchased some Faber Castell watercolor pencils and have used them on the first page of Rose's album...I had visions of using them to add an impressionistic touch to the work, but so far I have just managed to create some smudginess around "ROSE" :) More learning necessary for G'ma! While I am not wild about the planning and the process necessary to swim on a regular basis, Teresa, definitely helps keep me motivated. Both of us love the feel of being in the water and gently swimming laps for an hour and chatting while doing so :) It is especially cheering when the sunlight glistens through the water. 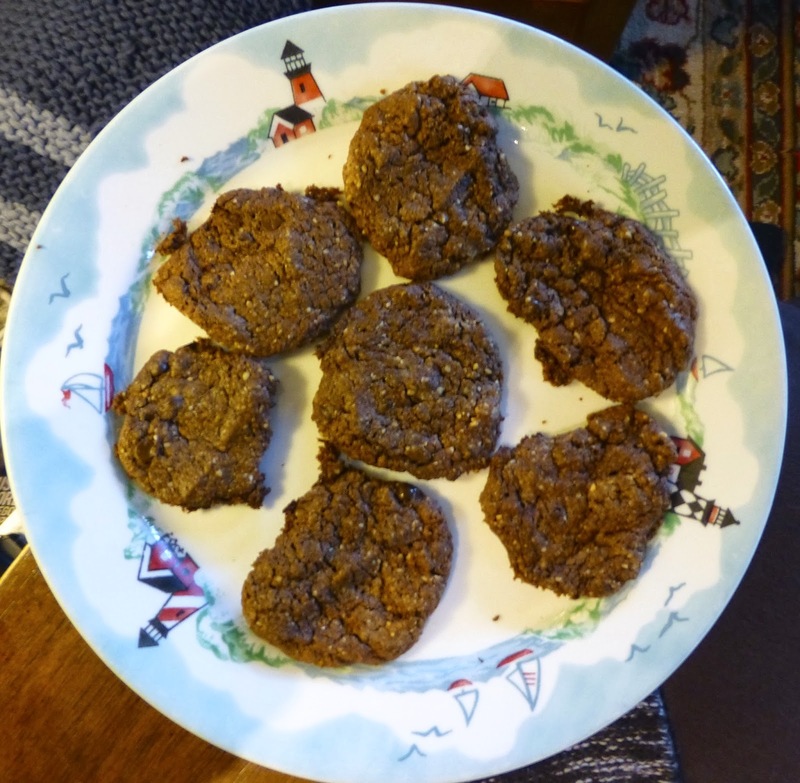 A friend made a gluten and dairy free peanut butter cookie recipe for me a year ago, and ever since I have been fiddling with the recipe to create variations on it. I can get fresh ground peanut or almond butter at our local market so I have been experimenting with using almond butter. Combine ingredients. I use a small cookie scoop and scoop out 30 cookies. Pat down the balls of cookie dough before baking. Let the cookies cool a few minutes before transferring them to a rack. Lovely to catch up with all you have been doing this week Gracie! 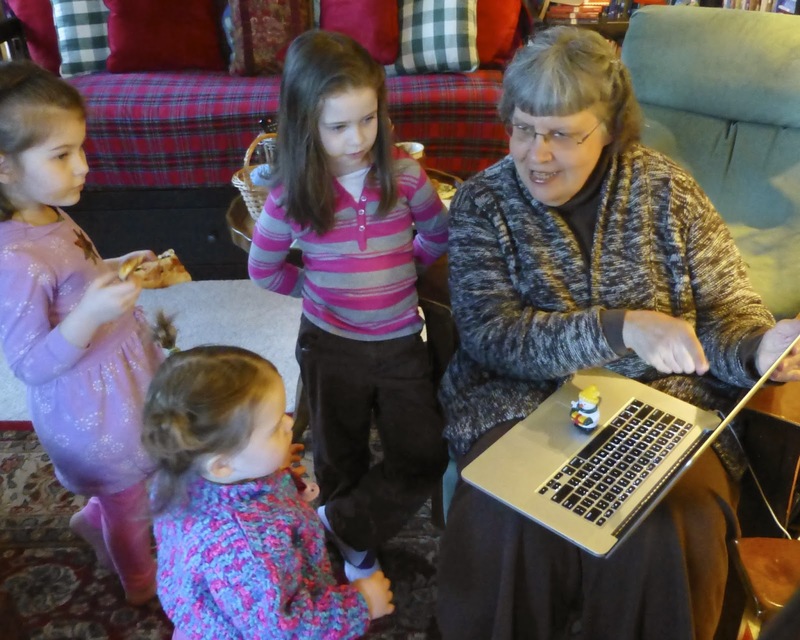 I am sure your grandkids enjoyed catching up with the adventures of FBB! I twist my stitches when knitting continental too. Stopped for a while. First...amazing story about the pen....very nice. 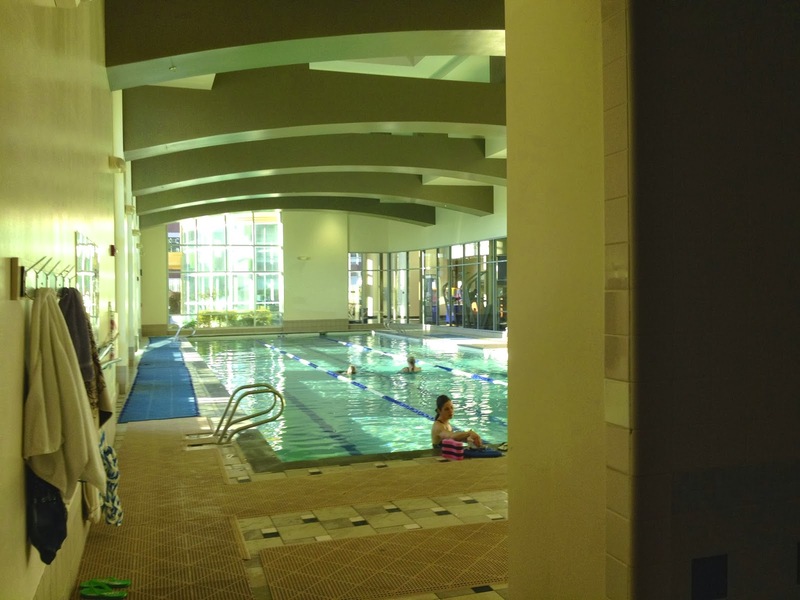 Second love the fact that you and Teresa go swimming from time to time...that's a very nice indoor pool! (my mom used to do that but got away from it....might have to push her to go back again) and Third, love seeing your pictures from Mt. Hood....it's always beautiful from wherever you are standing! And last....I've been working on my forever...never ending... hexagon blanket. It's growing each day and loving it more and more! ps. Your grandbabies looks so sweet gathered around your computer...I can almost bet they were looking at Meredith's pictures she posted....that was so sweet of her to do! I'm impressed that you're trying continental knitting. My great-grandmother was part-French and was by all accounts a very fast knitter. 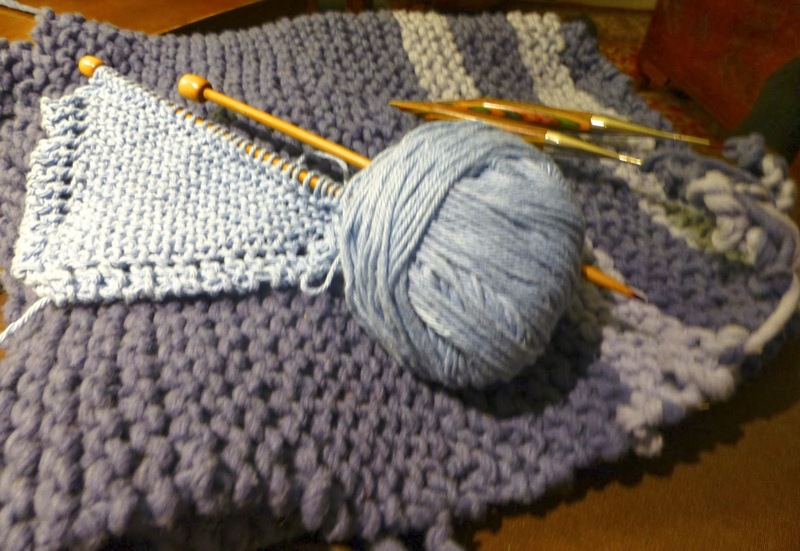 I'm still in love with crochet at the moment, but I expect I'll get my needles out at some point. 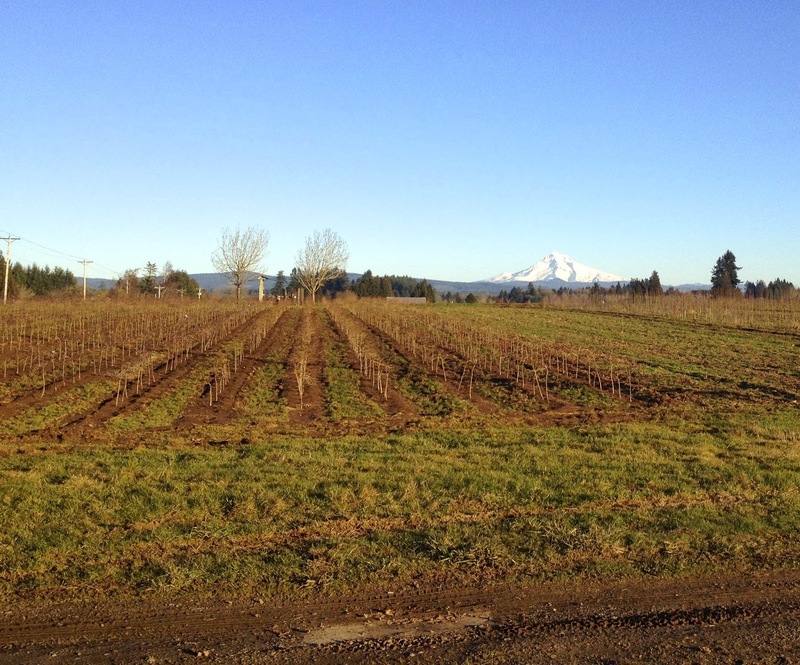 I always love seeing your pictures of Mt Hood and would be very excited to be there to see it in person. I really enjoyed this post Gracie. It's so happyand full of love. I enjoyed seeing the girls and imagine them following Fluffy's adventures on Meredith's post. The clay work pen is really neat. 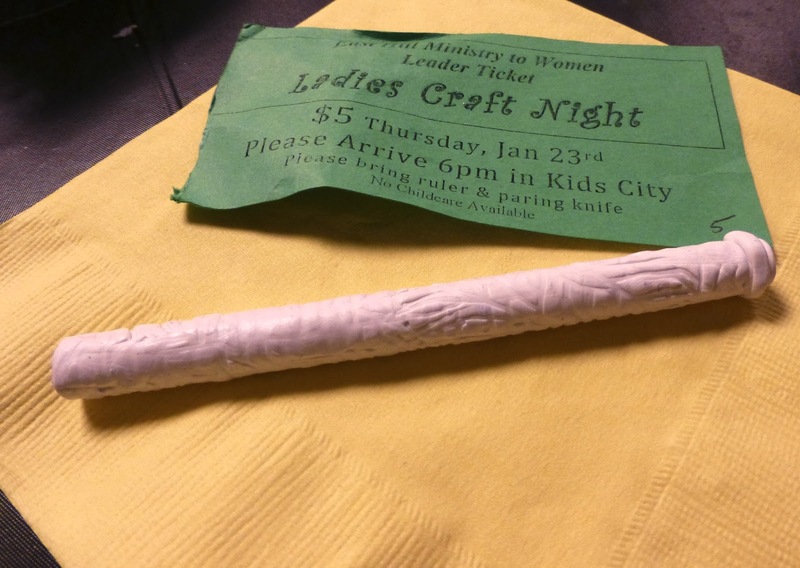 I love craft nights with friends. Such fun! You're making such great progress with your continental knitting. I'm so proud of you. :-). 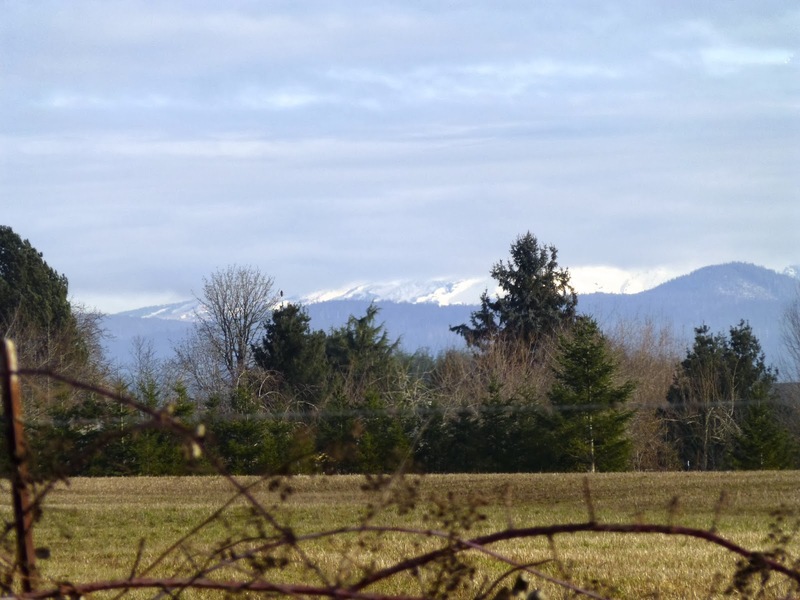 The pictures of Mt. hood are gorgeous as usual. I'll be seeing it myself soon because we just made plans today for me to head over that way next Sunday for a week. Can we get together? Hi Gracie, I'm so happy you continued with trying the continental knitting, it's not easy to change a habit and you are doing so well. I love the scrapbook you r making for Rose and it looks like you had fun at the craft class. You and Teresa are doing so good with swimming that is very good for both of you. I just saw that Betsy is coming next week, hope we can get together with her. Have a wonderful week. I've always wanted to try polymer clay on my crochet hooks. It looks really nice on the pens too. What a fun class that must have been! Your little Grand daughters are so cute and you're lucky to be able to spend so much time with them. I for one, totally appreciate all your Mt. 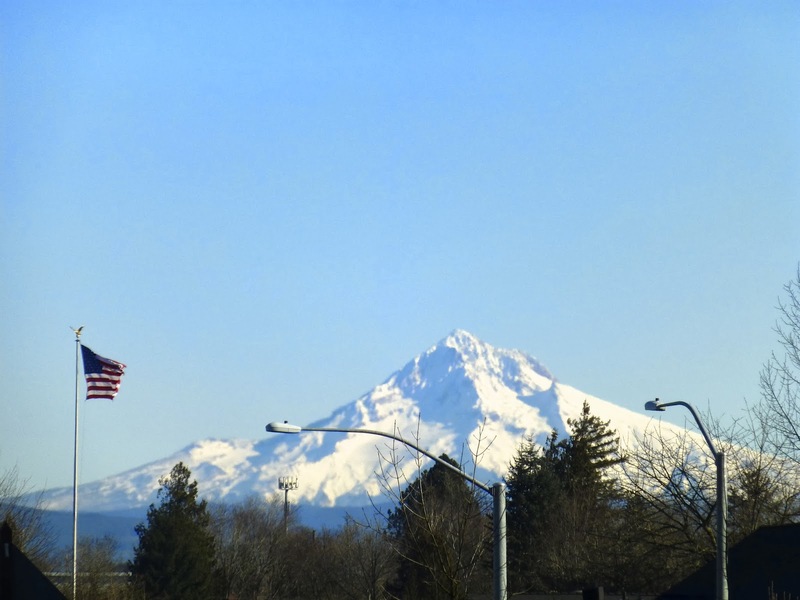 Hood photos as well as all the other scenes in your beautiful Oregon. Your granddaughter is lucky to have such a treasure to keep, you have done a beautiful job. You and Teresa are so lucky to be swimming buddies, it must really help keep you motivated. What a lovely, full post about your life lately. I love working with polymer clay, isn't it fun? It's such a versatile medium. I've loved it since I discovered it in Girl Scouts as a child. Your scrapbook is lovely, Rose will appreciate it very much one day. Your knitting is looking beautiful too. I'm happy for you making the effort to go swimming with Teresa, you are both doing great. I hope you have a good week, Gracie. You have been busy Gracie. Interesting mix of photos. Not often one sees an almost empty pool! I love the photo of you with the children, Gracie! And also the views of beautiful Mt. Hood - thank you. As for swimming - I used to enjoy it but nowadays I feel about it more or less the same as my cat would if she knew such things existed. But I'm glad you're enjoying it! Maybe I would like it more if there I could find a pool as beautiful as that one. And of course so much more fun to go with a friend. As for crafting, I am attempting to recreate some fair-isle mitts. On my second attempt I believe I have the gauge right, so not bad going. I love how you have made a scrapbook for each of your grandchildren's first birthdays, Gracie. That is such a special gift and I love the photo of you with the little ones. You are a very creative lady, and I think it's great that you want to try lots of different crafts! 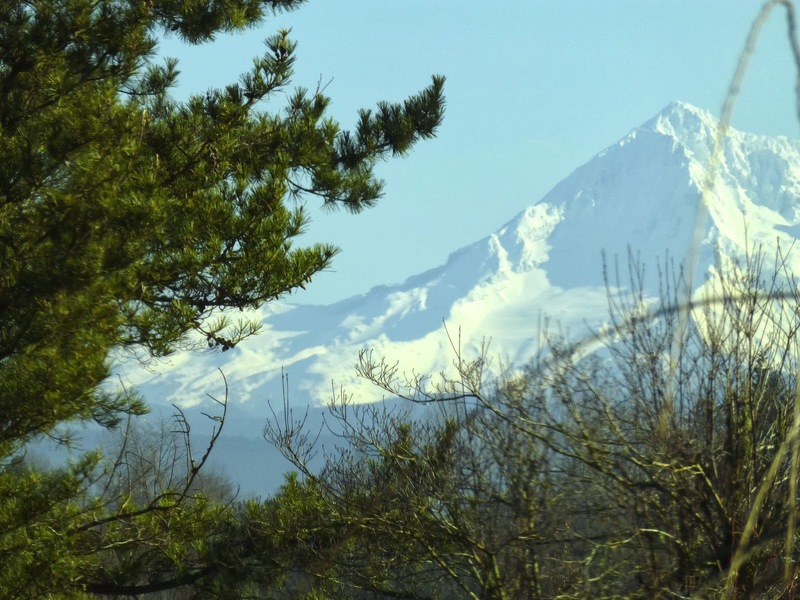 Your pictures of Mount Hood are always beautiful and I love to see them. Wishing you a happy week, with lots of crafty times. I hope you are finally getting the hang of the continental knitting. I'm sure you'll catch on! If you want the simple pattern for the baby hats, send me your email. I am willowknits at yahoo dot com. It's a super easy pattern. I adjust the number of stitches and the size of needles/weight of yarn to make all my charity hats on the same basic pattern 'template'. Yesterday I was reading "mere knits " blog and your spontaneous picture sprung out. So today I visited your blog. I can understand why you like living at Mt. Hood. It is a rather impressive mountain. Has it got a snowy top all of the year? You are such a Lucky woman to have 5 grand children allready. My children are 25 and 28 but not one grand child in sight. Not in the near future either. Seems so much fun to be a granny. I also like the name "granny" very much. At this moment my (Belgian) daughter has a relationship with a German guy. No granny for me. She had her chances though (she has been studying and working in London where she met some English chaps, YES for granny but in the end she went to work in Germany. With her German friend as a result now. What are you called by your grand children? And what are their names? A lovely post which has given me a sense of getting to know you a little better and bridging the miles between our two countries. Like you I'm not keen of having to carve out time on a regular basis to swim but the benefits outnumber the efforts involved. I love swimming. We try to go in the evenings on Friday when the main lights are turned out which creates a very relaxing atmosphere. 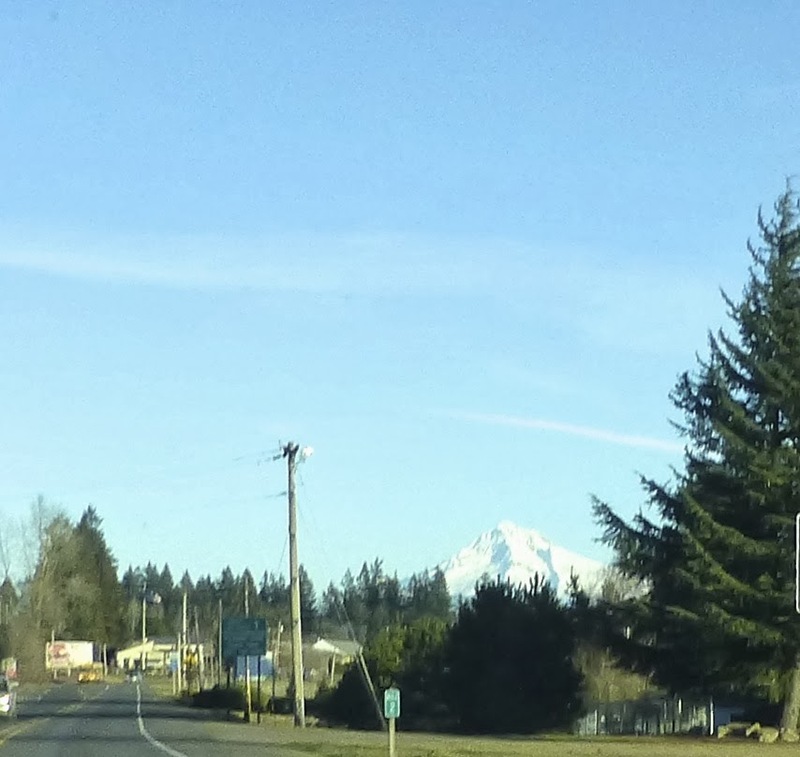 Oh I SO love seeing Mt. 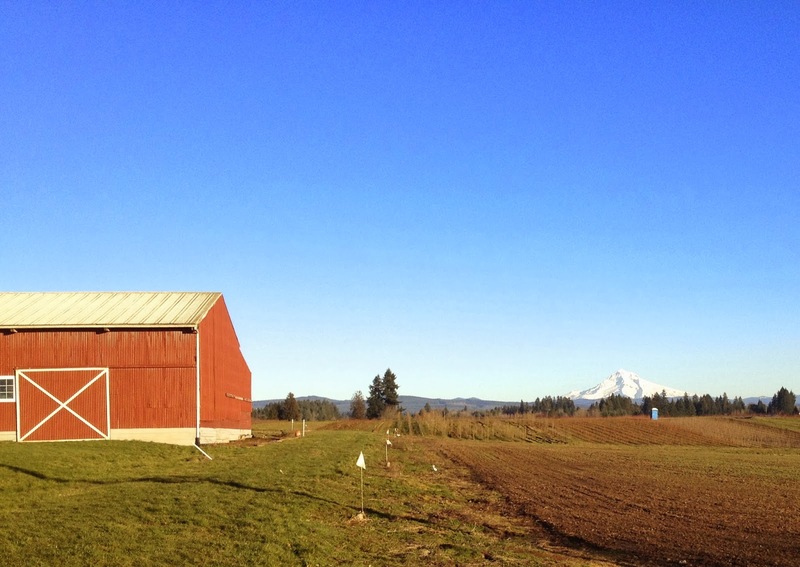 Hood on your blog--love, love, love that mountain! No fun craft projects for me right now, but I need one with all the COLD weather they're forecasting for us this week. Mmm--I love almond butter! Thanks for sharing your recipe!